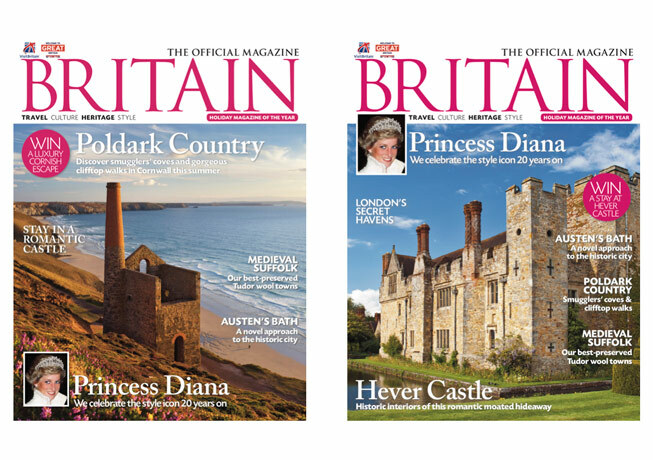 BRITAIN – The Official Magazine of VisitBritain offers inspirational photography, fascinating features, shopping and travel advice. BRITAIN is the perfect choice for everyone who wants to know more about our nation’s rich history and traditions. Each issue is a glorious surprise, packed with tales of kings and queens, heroes and villains and the stories behind our castles and cathedrals, stately homes and gardens, countryside and coastline. With photography that makes you yearn to be there and stories that whet the appetite for more, BRITAIN brings you everything you’ve ever wanted to know about our vibrant island nation.